We understand the importance of supporting independent music. You are the Voice of the New Music Generation and we honor you. We are focused on our artists and believe that there is no better voice than from those who we serve. Feel free to get in touch with any of our artists and they will tell you this is the place you want to be.. 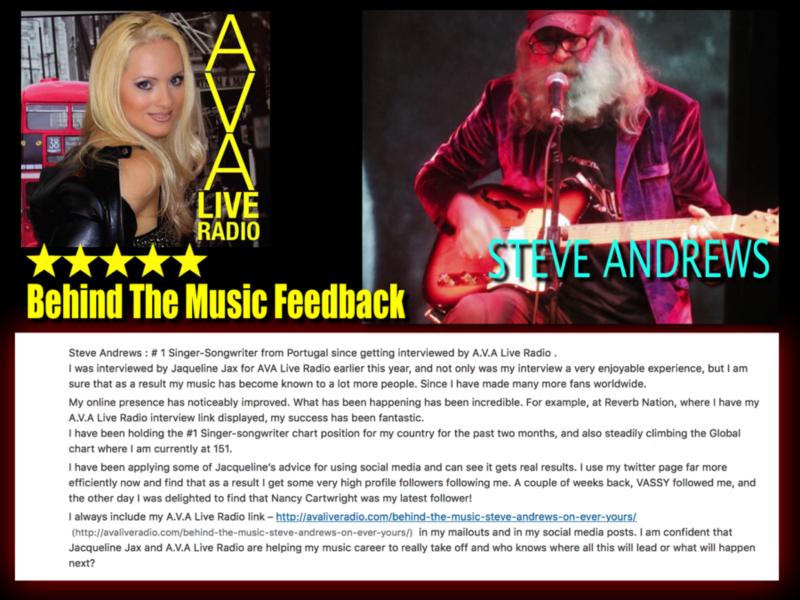 ARTIST FEEDBACK: Special thanks for your amazing feedback from our Music Family..
Steve Andrews : # 1 Singer-Songwriter from Portugal since getting interviewed by A.V.A Live Radio . 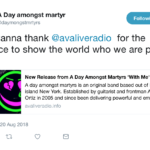 I was interviewed by Jaqueline Jax for AVA Live Radio earlier this year, and not only was my interview a very enjoyable experience, but I am sure that as a result my music has become known to a lot more people. Since I have made many more fans worldwide. My online presence has noticeably improved. What has been happening has been incredible. For example, at Reverb Nation, where I have my A.V.A Live Radio interview link displayed, my success has been fantastic. Regan Lane – Strangely Alright : I believe Jacqueline really cares. And that, more than anything is what brought me to investigate AVA. The simple reality is a lot of folks do indie music to just tell their story and be heard. In a atmosphere of love and respect, AVA does just that! Besides giving a positive setting to show Strangely Alright’s music and story, there is the fact that Jacqueline has some unique and attainable marketing ideas (get the insider news letter!) that I plan to put into motion! Great experience all the way around for me. I’m glad we met and I plan to stay connected to the AVA community! Zita Barbara Sanders : I noticed a change in people who have “followed me” on twitter! I think since being on AVA I have more twitter followers. 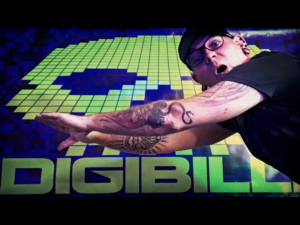 Facebook and Reverbnation come next. These are people who have heard me on the show or seen my art from the live stream. On that note, the interviews come out professional (listening or as the interviewee.) You help the person through the interview. I was nervous during my live stream because not being able to “connect” and my mind was put off-guard by it! I don’t know how I would have gotten through it if I wasn’t “guided” a little. You also help after the interview (which is unusual for “shows” that may just feature a person and let them go on.) You leave interviewees feeling encouraged, inspired, and it helps push people forward to their next music goals…BUT you actually check up on your acts to see if they were met. The tips you post on the vocal page and on your other pages are filled with helpful tips that actually work! I have “tried” and read a lot of the posts. I also follow your advice. It helps a lot! Montana Haze :Working with you at A.V.A Live Radio gives me the opportunity to discover artist of different genres all over the world. I also received more traffic to my social media pages and Likes to my Facebook page. Being on the show also allowed me to be discovered by artists and fans who are in tune with A.V.A Live Radio. The advice and insight you give in the music community is also fun to apply and helpful. Loane Céline Nathalie: Alchimy: You are such a beautiful and Sweet Woman: We have been delighted by your professionalism, your tenacity and the way you are so much dedicated to the artists you work with, with Joy and Passion! We are so much inspired by your posts on the internet and live. The moment of the two interviews and the Live Show that we have done with you was so Great! Cannot wait to do the third one with you dear and beautiful Jacqueline Jax from A.V.A Live Radio. Sheri Lynn: Working with Jacqueline Jax has been a very positive experience, she has a way with making one feel comfortable with their interviews. She’s soft spoken and has a very caring way about how she approaches each and every question. Her support is outstanding as she not only supports you during your interview she goes far and beyond to continue with her support long after the interview is over. Thank you for your support and most of all for your Friendship. Jake Aldridge: I think the interviews you do are a great help. The fact we can have copies and post promote them is huge, especially when most fans don’t have a chance to tune in Live… I also think the quality of the interview itself is amazing. It’s great to be interviewed by someone who has done their research on you, asks the right questions and listed to your responses. Calvin Batley: I was on A.V.A live radio and it was a lot of fun. Jacqueline Jax was engaging and easy to talk to and I found a lot of new music just from listening to the rest of the show. In fact, she is a great resource in her own right and has plenty of good advice for the aspiring especially in business and blogging/social media interaction. Best of all, she practices what she preaches with a constant presence and a work ethic so honed and pro active, she can only be an inspiration. John Cox : As an independent artist/musician it was great to be on A.V.A live radio because I really learned a lot. Jacqueline Jax is kind and you can really tell has a passion for music and knows what she is talking about. I have noticed my social media has picked up and really enjoy working with A.V.A! A lot of great possibilities ahead…. Ken Dunckley: Beyond the tips for social media platform management (which have been a big help), just having done interviews has created new content for webpages, promoted the band to an audience in every market, exposed the band to new followers on FB and Twitter, and also helped me improve my interview skills, the tips on merchandising, new platforms like Periscope, reimagimong uses for other social media, and the upcoming somg reviews are also beneficial. And none of it cost me anything. Vernon Fuller : I have been interviewed and featured on a couple of Jacqueline Jax radio broadcasts. Jacqueline is professional, courteous and passionate about promoting independent artists. Honored to be able to say that I have worked with her and I look forward to more opportunities in the future. Highly recommended! Paul Golian : Jacqueline is the unwavering reference point for the fledgling indie artist trying to rise above the literal millions trying to do the exact same thing he or she is. She is always your fan, and she is always there to answer anything you ask. I strongly recommend using the treasure of resources she provides daily (I don’t think she sleeps) and the multitude she has archived. She is a resource no Indie artist should pass up. John Gagne : Jacqueline Jax has been and will be an inspiration to Skidbone with such a positive attitude to help propel us and many other talented musicians by helping us learn how to make it in todays’ ever-changing new music industry. You are the best and you have earned our love and respect as a group of musicians. also,,, because of being on your show and you constantly tweeting our band name we have gained an unknown amount of Twitter followers , again we thank you and gods’ blessings for you John Gagne of Skidbone Thank you. Jana Andthe Rebels :You are very dedicated and committed in helping artists become known. You offer any help you can in bringing success to everyone you come in contact with and work networking better than anyone I’ve met. I appreciate your genuine and sincere attitude. You rock!! Anthony Verhoeven I have had the great experience with working with Jacqueline Jax and A.V.A Radio and it’s been a real pleasure. Jacqueline is very positive and knowledgeable with music promotion and social media. Philip Hatfield : AVA is real, organic radio–original music by and for musicians. Depth, insight and artistic integrity wrapped in the beauty of air personality Jacqueline Jax. It doesn’t get any better. Al Staggs Left Wing Fascists had a great experience with you on the radio and a very well done interview so I highly recommend bands to take the time to do an interview. You won’t regret it. It was a very comforting experience and a joyful one as you were very professional when giving advice and directions that is very important for any more. 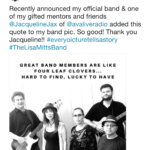 Independent Artist and your advice does work for me and I would recommend A.V.A Radio with Jacqueline Jax to Everyone in the music industry even if your just listening to the wonderful Music. Craig Green : Great experience. Well constructed and conducted interview. Most worthwhile and great fun. Keep it up. Stephen Edmond Jr.: Jacqueline Jax is beautiful and wonderful Being on A.V.A Live Radio was a awesome experience and I can’t wait to come to Miami to do a live interview. Above the Skyline: She is awesome! So professional and supportive and genuine. Willing to help out any artist and will continue to help. Cachet Hunnit: Awesome experience thanks for everything. You touch many souls. Carl Banks Very friendly and professional…loved being interviewed by @Jaquelinejax absolute pleasure to be part of the community. Noel Brooke : Loved the warmth and vibes thru out the interview. Your kindness, professionalism and knowledge in which you adhere with integrity when interviewing us musicians that are either starting in there music career or amateur as myself is just beyond what we can encounter 🙂 Thank you Jaqueline Jax! Michael Ashdown : I was initially nervous about being interviewed by Jacqueline, but her warmth, sincerity and respect soon put me at ease, and left with a substantial boost in my self belief. I think the tireless effort she puts into supporting independent artists is an inspiration to us all. By the way, check out her personal musical videos. She is sensational. Dana Murphy : Thank you for sharing your passion for music and giving the greatest of positive support and knowledge with an open ear and kindness of heart. 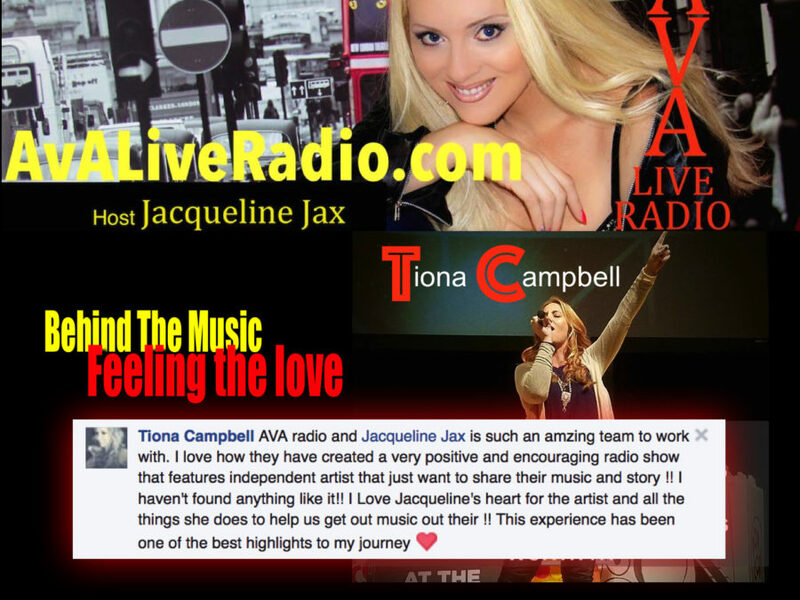 I first joined up with Jacqueline a few years back for the music spotlight on AVA Live Radio. I didn’t realize how powerful her knowledge was until I sat down and gave her the time she deserves. I watch her live streams and YouTube videos and it has opened up doors for me. She has recently been honing in on Instagram and I’ve been wanting to hone in on it myself so I worked with her and followed her strategies. In just the matter of a few days, she has taught me the ins and outs of engagement and continuity on Instagram. I have learned that, yes, you have to have quality material but it’s so much more. You have to make an effort to connect with you fan base in certain ways and this is the key. To Jacqueline Jax over at @avaliveradio, a music biz professional and an inspiration for me and many others. Thank you, Jacqueline, for your support of indie artists and your ongoing contributions to the music community. 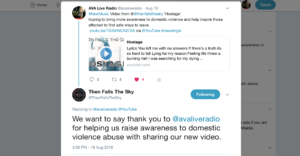 We want to say thank you to @avaliveradio for helping us raise awareness to domestic violence abuse with sharing our new video. Leave us your feedback, we love to hear from you. Especially when you’ve seen big results from industry and fans. Jacqueline Jax and A.V.A. Live Radio have helped to push us forward in ways we didn’t think possible for an up and coming band. Through the recent exposure gained from the featured artist interview to the feature of our first release, Not My Hero, on the weekly top 10, the hits on our Facebook and other social media have increased. We look forward to the continued support and innovative promotional ideas Jacqueline and the A.V.A. Live Radio crew have to offer. Thank you for helping the up and coming, struggling artists. You have a devoted fan in Moment of Clarity. That’s wonderful. We are so glad that you are enjoying the experience of working with us. Steve Andrews : # 1 Singer-Songwriter from Portugal since getting interviewed by A.V.A Live Radio . 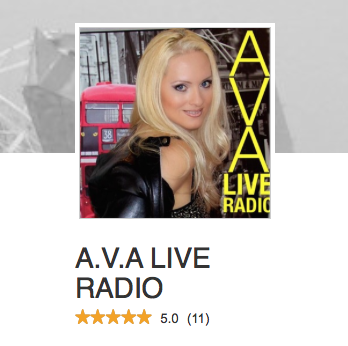 I was interviewed by Jaqueline Jax for AVA Live Radio earlier this year, and not only was my interview a very enjoyable experience, but I am sure that as a result my music has become known to a lot more people. Since I have made many more fans worldwide. My online presence has noticeably improved. What has been happening has been incredible. For example, at Reverb Nation, where I have my A.V.A Live Radio interview link displayed, my success has been fantastic. I have been holding the #1 Singer-songwriter chart position for my country for the past two months, and also steadily climbing the Global chart where I am currently at 151. I have been applying some of Jacqueline’s advice for using social media and can see it gets real results. I use my twitter page far more efficiently now and find that as a result I get some very high profile followers following me. A couple of weeks back, VASSY followed me, and the other day I was delighted to find that Nancy Cartwright was my latest follower! 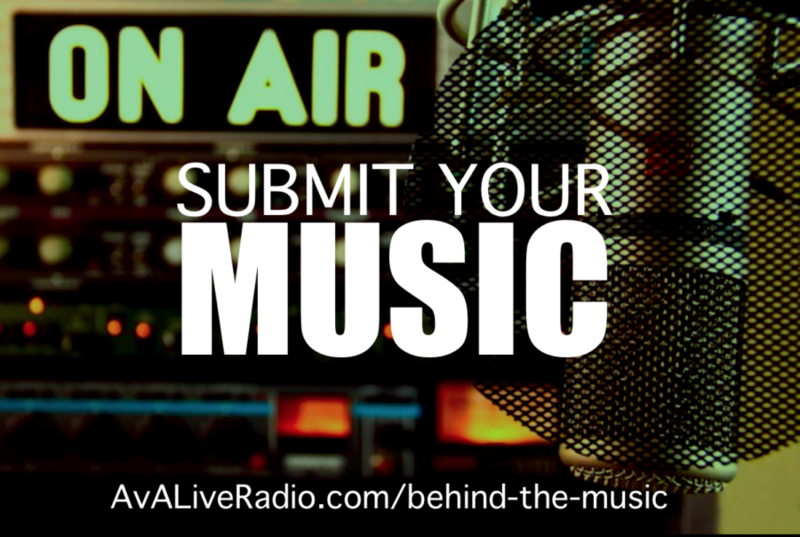 I always include my A.V.A Live Radio link – http://avaliveradio.com/behind-the-music-steve-andrews-on-ever-yours/ in my mailouts and in my social media posts. 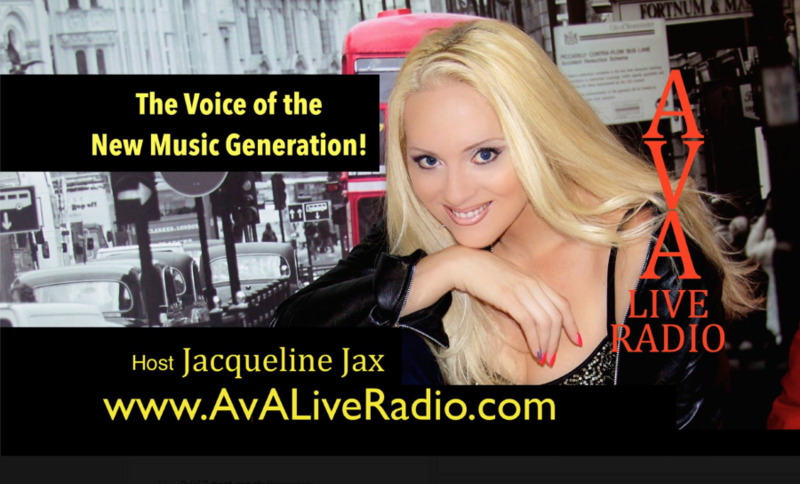 I am confident that Jacqueline Jax and A.V.A Live Radio are helping my music career to really take off and who knows where all this will lead or what will happen next?